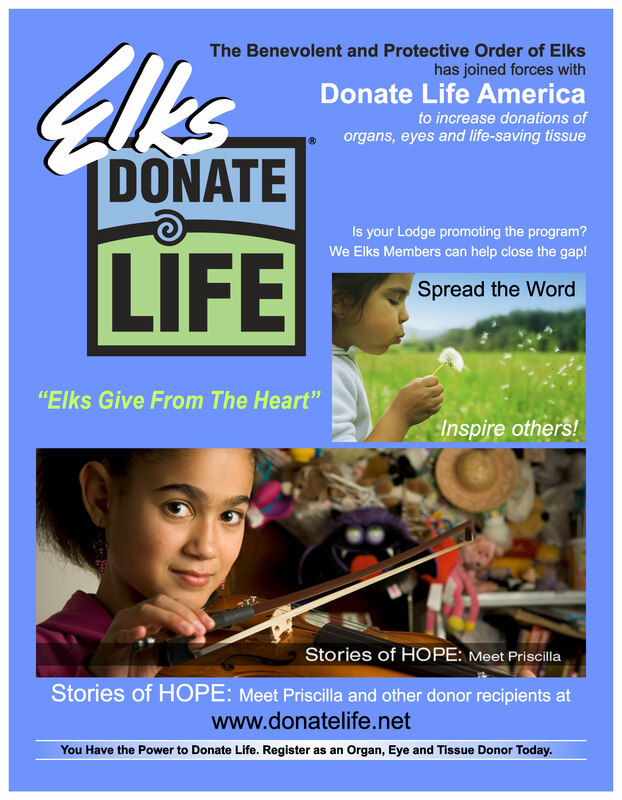 The Benevolent and Protective Order of Elks has partnered with Donate Life America to increase donations of organ, eyes and life-saving tissue. 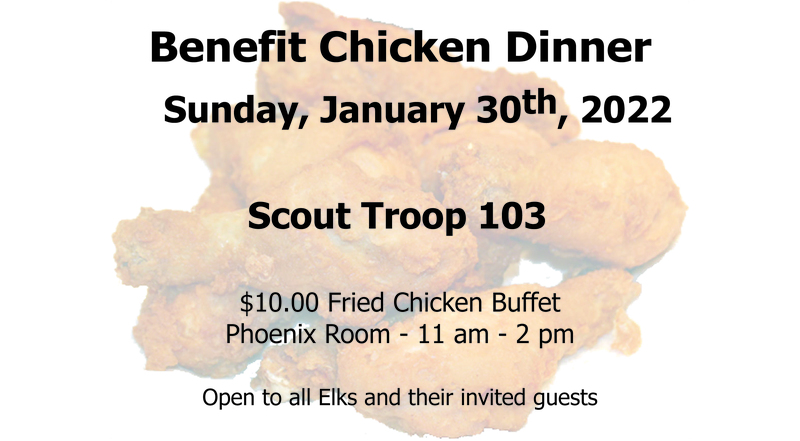 See the poster here or go to http://www.donatelife.net for more information. The lodge meets the 2nd & 4th Thursdays at 7:00 PM.